Tune in tomorrow, Sunday at 1pm eastern time to UhuruRadio.com for “Reparations in Action,” the weekly program of the African People’s Solidarity Committee. APSC is the organization of white people and other allies working under the leadership of the African People’s Socialist Party. Solidarity with organized African resistance! Hands off Venezuela! Hands off the African community! Diop Olugbala, President of the International People’s Democratic Uhuru Movement, will be interviewed by host Jesse Nevel of the African People’s Solidarity Committee on the question of organized African resistance. President Olugbala will discuss the upcoming InPDUM Convention, “One Africa! One Nation! Build Revolutionary Organization to Protect and Defend Our Own!” that is going to take place on March 23-24 in St. Petersburg, FL. 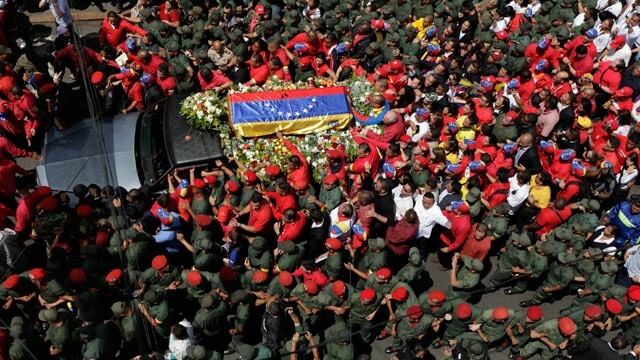 Then, comrade Nevel will talk with APSC Chairwoman Penny Hess on the recent death of Venezuelan President Hugo Chavez and what it means for oppressed peoples around the world struggling against US Imperialism and counterinsurgency. “Stop being a white liberal”: Card-carrying member of USM speaks out!